WestJet is adding a new basic economy fare, giving Canadians more travel choices. One of Canada’s biggest airlines has a new ticket class to offer their customers. And Canadians have more air travel choices. 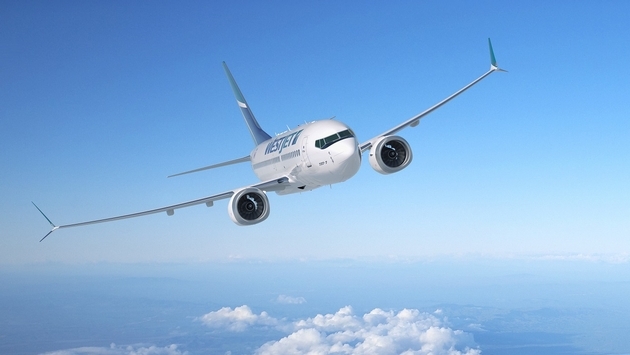 Calgary-based WestJet, which is expanding both overseas and is due to launch a new, ultra-low-cost airline in June, has launched a new, “basic economy fare” called Econo (Lowest). “As WestJet transitions to a global airline, we want our guests to have more choices when it comes to their travel experience,” company officials said. “Econo (Lowest) is designed for the value-seeking guest who doesn’t travel often. We want to attract travellers who are looking for low cost fares without any added amenities. WestJet said there are several caveats with the new fare class. - Tickets purchased in the econo (lowest) class will not be eligible for refund, exchange or name changes should travel plans require cancellation or changes. - There's no option to select pre-reserved seating during the booking process. Instead, a seat will be automatically assigned to passengers at the time of booking. Guests will have the option to select a standard seat at check-in at the airport for a fee. - As with their regular Econo fares, checked bag fees apply ($25 for the first bag, $35 for the second bag). - Upgrades to WestJet Plus seating at the time of check-in will not be available with the Econo (Lowest) fare. - WestJet Rewards members travelling on an Econo (Lowest) fare will not earn WestJet dollars, and the booking is not eligible towards qualifying flight spend to reach Silver or Gold status. - Econo (Lowest) fares may not be available on every flight and in every market. WestJet said it has put together a “handy reference guide” to help agents and customers navigate the new fare, Agents can go to their special WestJet Travel Agents page to learn more. Air Canada also has a new basic economy fare, which could help them battle WestJet’s new ultra-low-cost airline, called Swoop. WestJet’s Swoop is due to launch in June, with service in cities such as Hamilton, Abbotsford and Halifax. There’s also increased competition from Flair Airlines and potentially Canada Jetlines, as well as inexpensive options for Canadians heading to Europe, including Icelandair and Wow Air.